Tomasello Winery 2014 Vidal Blanc I.W. May 28, 2013 – Alba Vineyard of Milford has won Winery of the Year in the New Jersey Wine Competition. 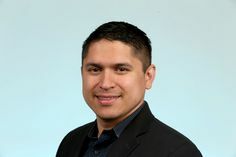 Alba, along with 24 members of the Garden State Wine Growers Association (GSWGA), won medals in the competition, conducted annually by the Rutgers University Cooperative Extension under the supervision of Rutgers University wine expert, Dr. Gary Pavlis. The 2013 New Jersey Wine Competition awarded over 140 medals and featured 250 wines. 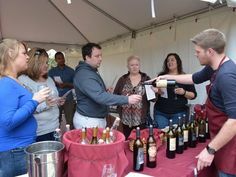 The medals were awarded this Monday in a special awards ceremony at the Garden State Wine Growers Association’s Blues & Wine Festival at Natirar Park in Peapack-Gladstone in Somerset County. Alba Vineyard earned six gold medals in the competition for its 2010 Port, which also won Best Dessert Wine, as well as gold medals for the 2010 Chambourcin, 2010 Pinot Noir, non-vintage Raspberry, 2012 Riesling and 2011 Gewurtraminer. The 2010 Chambourcin also took home the honor of Best Hybrid wine. The gold medal and Governor’s Cup for grape wine went to Cedarvale Winery of Logan Township for its 2010 Cabernet Franc. Cedarvale also won a gold medal for its 2012 Strawberry wine and a bronze for its 2012 Nectarine. 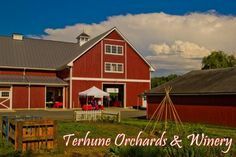 Terhune Orchards in Princeton won a gold medal and the Governor’s Cup for Fruit Wine for its non-vintage Peach wine. 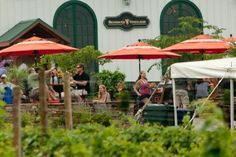 Terhune also earned three silver medals for the non-vintage Barn Red, Front Porch Breeze and Harvest Blues and three bronze medals for the Cold Soil White, Apple and Vidal Blanc wins. Unionville Vineyards in Ringoes won the Governor’s Cup for Dessert Wine for their non-vintage Port vat#18. They also won bronze for the White Montage blend. Judges utilized in the NJ Wine Competition are certified wine judges, sommeliers, wine buyers, wine educators, and wine retailers. Many have been judging in this competition for over 20 years. The Best American Wine award went to Westfall Winery for their Non-vintage Skylands Blush, which also captured a silver medal. Westfall also won bronze medals for its non-vintage Spanish Passion and Midsummer White. 4 JG’s Orchards & Vineyards of Colts Neck took a silver medal for its 2007 Chambourcin and two bronze medals for the 2011 Chardonnay and 2011 Monmouth Blush wines. Bellview Winery, Landisville earned a silver medal for the 2008 Port and four bronze medals: NV Fiesta, NV Lettizzia, NV Jersey Devil White and 2011 Chambourcin. Cape May Winery, Cape May won silver medals for the NV Isaac Smith Port and 2012 Vidal Blanc and eight bronze medals: 2012 Riesling, 2011 Isaac Smith Red, 2011 Outer Coastal Plain Red, 2011 Zinfandel, 2011 Pinot Noir, 2011 Barrel Oak Chardonnay, 2011 Merlot and 2010 Isaac Smith Red Reserve. Coda Rossa of Franklinville won silver medals for the non-vintage Sweet Jane and Blue Moon and four bronze medals for the non-vintage Cab Franc, Tempest, Blackbird and Ameritage. DiMatteo Vineyards in Hammonton won a silver medal for the 2012 Diamond American wine and two bronze medals for the 2012 Niagara and 2012 White Sangria. 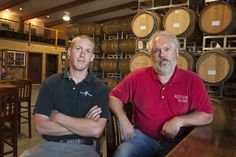 Four Sisters Winery at Matarazzo Farms in Belvidere won three bronze medals for their non-vintage Holiday Seasoned, Papa’s Red and Cedar Hill Rose. Hawk Haven Vineyards in Rio Grande won a silver for the 2010 Cab Franc and six bronze medals: 2010 Quill, 2012 Albarino, 2011 Chardonnay, non-vintage American Kestrel White, 2010 Petite Verdot and 2011 Chardonnay Reserve. Heritage Vineyards, Mullica Hills won gold for non-vintage Brut Rose, silver for the 2011 Malbec and eight bronze medals: 2010 Syrah, 2010 Cabernet Sauvignon, 2010 Merlot, 2012 Chardonnay, 2010 Chambourcin, 2010 BDX, non-vintage Sugar Plum and 2012 Sauvignon Blanc. Hopewell Valley Vineyards in Pennington won a silver medal for the 2006 Port and four bronze medals: 2008 Barbera, 2010 Chambourcin, 2009 Cab QWA and non-vintage Dolce Vita. 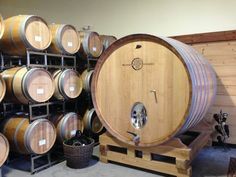 Jessie’s Creek Winery in Cape May Country took home a silver medal for its 2010 Merlot and bronze medals for the 2010 Cabernet Sauvignon and 2010 Chardonnay. Monroeville Vineyards, Monroeville earned silver for the 2011 Cab Franc and six bronze medals: non-vintage blueberry, non-vintage nectarine, 2012 Muscato, 2011 Strawberry, 2011 Cabernet Sauvignon and 2011 Syrah. Natali Vineyards in Cape May Court House took bronze medals for three non-vintage wines including a Tempranillo, a Dolcetta, and Blackberry. Old York Cellars, Ringoes won a bronze medal for the 2011 Southpaw Red. 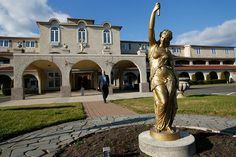 Plagido’s Winery, Hammonton earned a silver medal for the non-vintage Antonio Rosso and bronze medals for the non-vintage Concetta’s Casalinga and Empire. Renault Winery in Egg Harbor won three silver medals for the non-vintage Riesling, Royal Rouge and Noah and 10 bronze medals: non-vintage Blue Champagne, 2011 Burgundy, 2011 Chianti, 2011 Cynthiana Reserve, non-vintage Fresello Red, non-vintage American Champagne Chablis, May Wine and White Port and 2011 Chardonnay Premium. Sharrott Winery in Blue Anchor captured a gold medal for the non-vintage Wicked, three silver medals for the 2010 Chardonnay Unoaked, 2011 Barrel Reserve Chardonnay and 2011 Dry Rose and four bronze medals for the non-vintage Blueberry, 2010 Cab Franc, 2010 Trio and non-vintage Vignoles. Tomasello Winery, Hammonton won a gold medal for the non-vintage Blackberry, two silver medals for the 2010 Vintage Port and 2010 Chambourcin and bronze medals for the 2010 Cab Franc, 2007 Cabernet Sauvignon, non-vintage Cherry. Turdo Vineyards, Cape May won three bronze medals for the 2011 Turis Sangiovese, 2008 Turis Nebbiolo and 2011 Turis Persara. Valenzano Winery, Shamong earned two silver medals for the non-vintage Shamong Red Reserve and Jersey Devil Port and four bronze medals for the 2009 Merlot Reserve, non-vintage Labrusca and Shamong White and 2010 Cabernet/Merlot blend. Ventimiglia Vineyard in Wantage took a silver medal for the 2010 Cab Franc and four bronze medals for 2010 Merlot/Cab Franc blend, 2011 Chardonnay, 2010 Chambourcin and non-vintage High Pointe White.